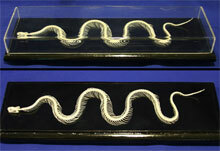 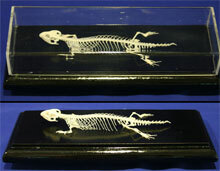 All skeleton specimens come mounted on a black lacquered base matched with an attractive acrylic top for protection. 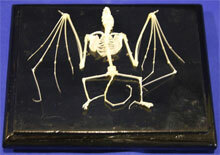 The acrylic top can be removed for access to the skeleton or glued down to prevent damage. 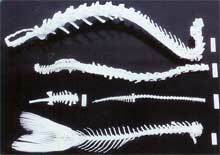 Included with each skeleton is a line drawing of the skeleton with many of the bones labeled.